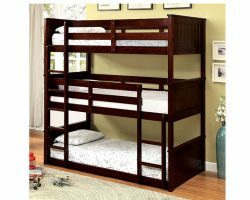 Triple the fun with this bunk bed for three! 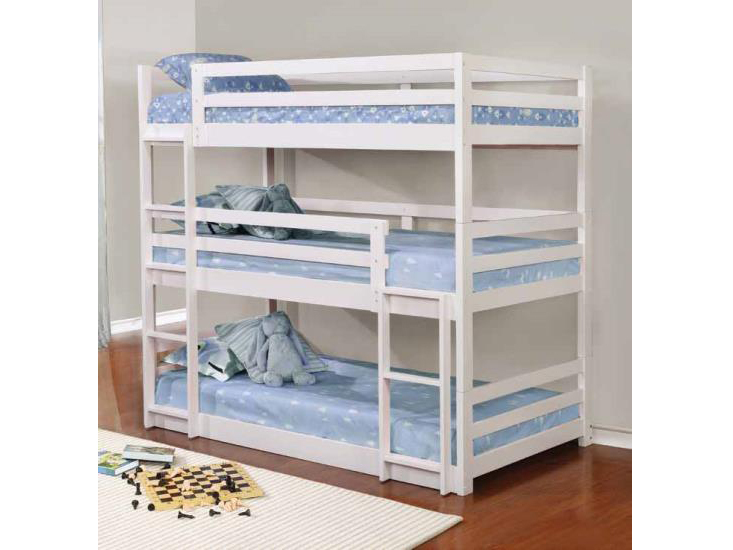 In a beautiful white finish, this bunk bed consists of three twin beds, stacked and accessible with an attached ladder. Guardrails surround the top two bunks for safety. Constructed in a solid pine for durability. 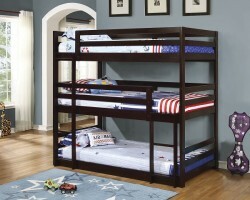 The beds can be used separately for flexible configurations; bunkie board not required. Perfect for small rooms!